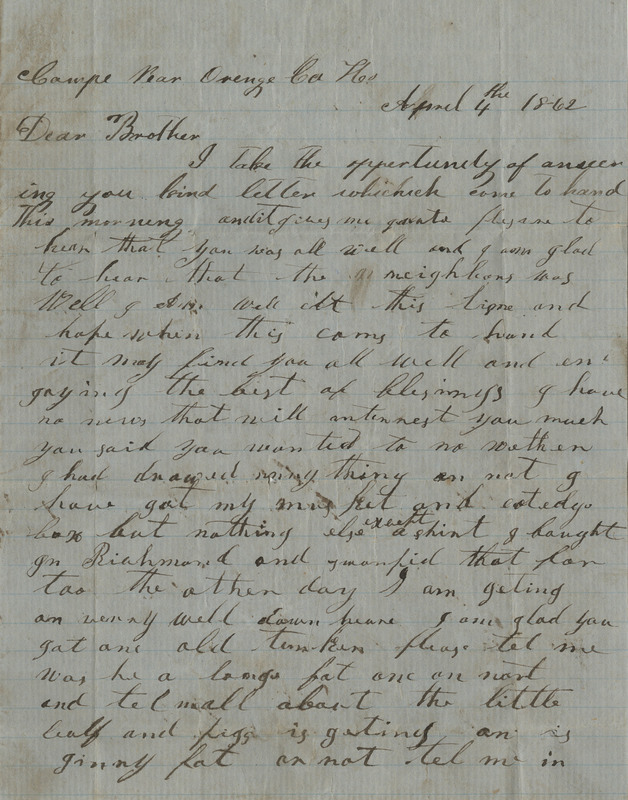 Creator is exactly "William H. Yeaman"
A letter from William Yeaman to his brother and a letter from the cousin of Thomas Yeaman to Thomas Yeaman. 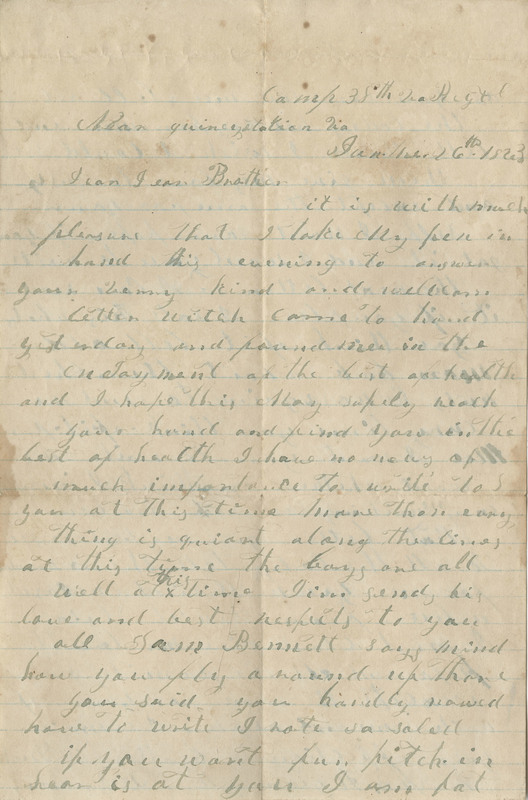 A letter from William Yeaman to his father wishing him and the rest of his family well. 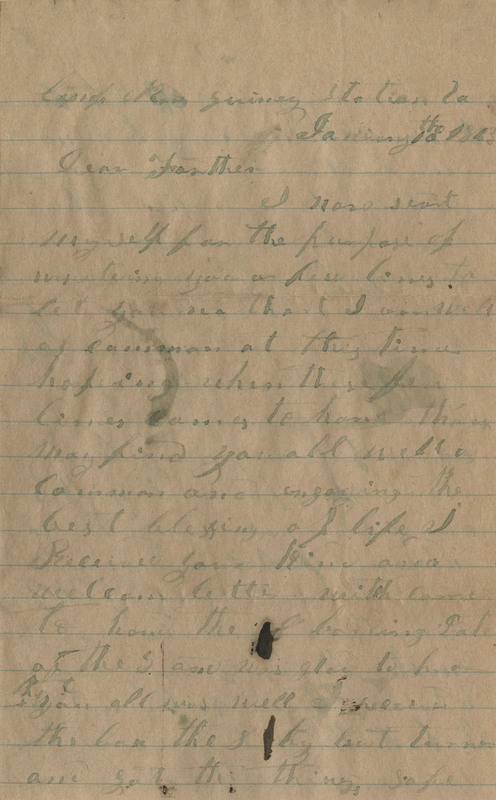 Yeaman says that there is not much news to report. 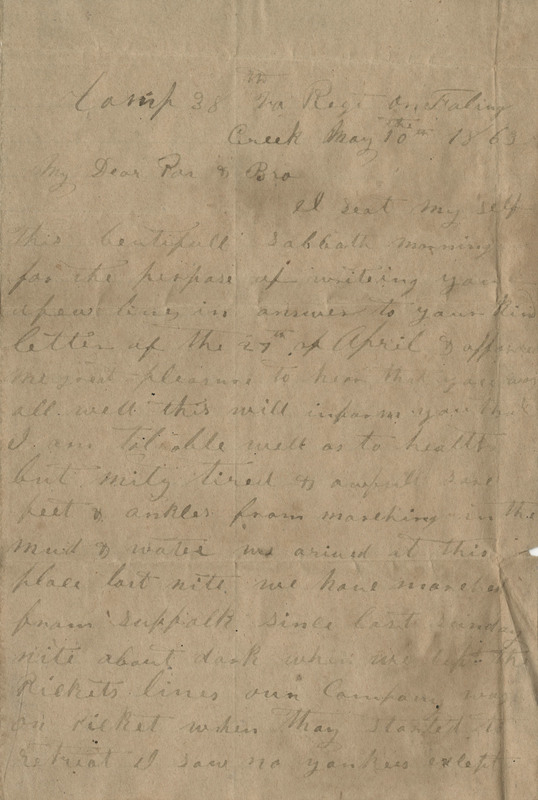 A letter from William Yeaman to his father John and brother Thomas Yeaman discussing life at camp and General George Pickett. 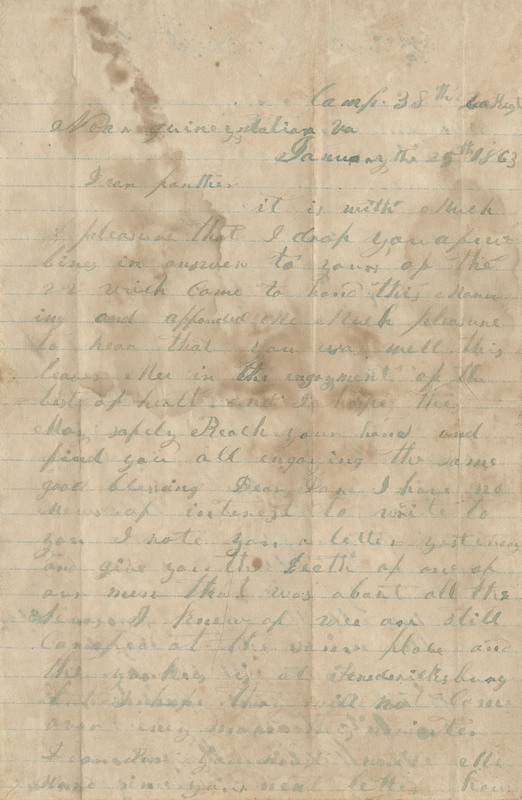 A letter from William Yeaman to his father John Yeaman. 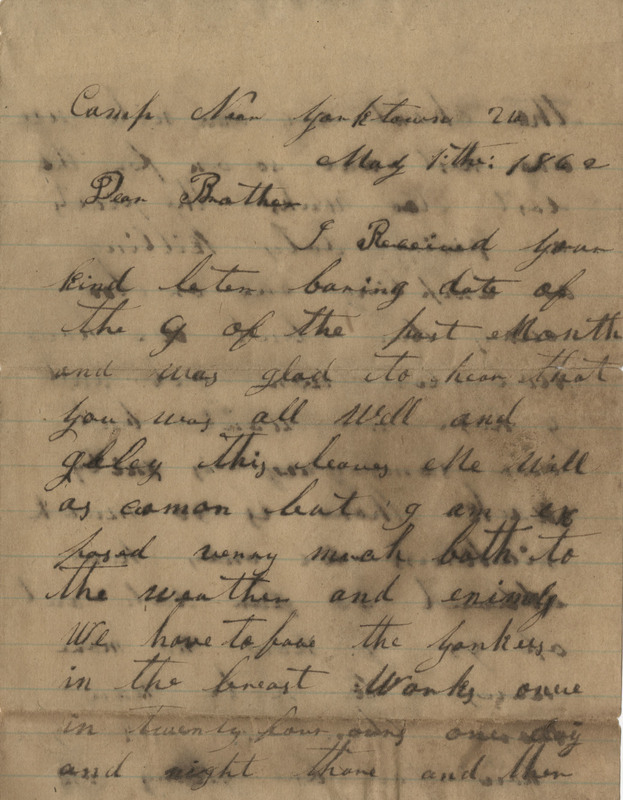 A letter from William Yeaman to his father discussing daily camp life. 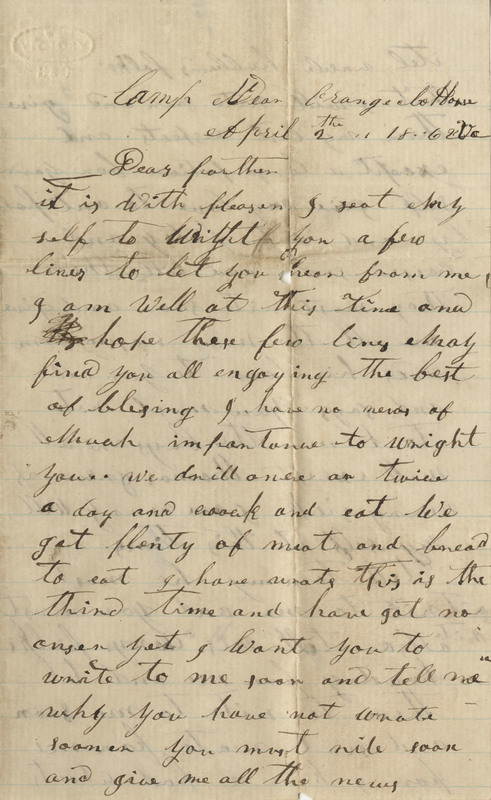 A letter from William Yeaman to his father. 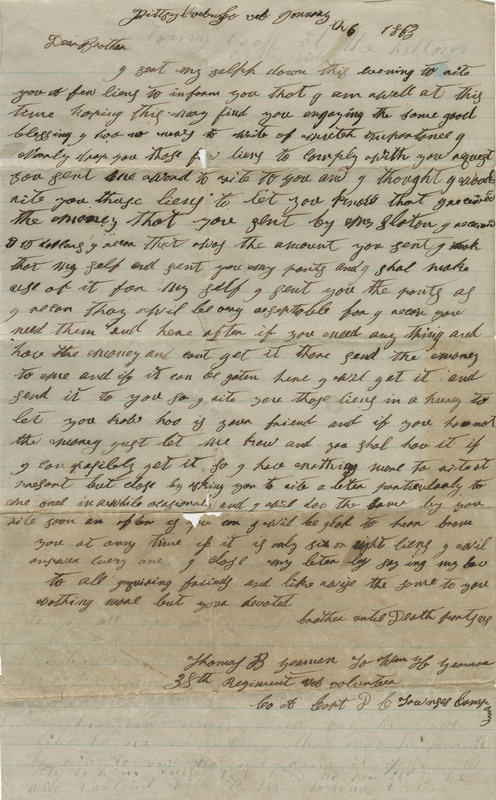 A letter from William Yeaman to his brother Thomas Yeaman, written and mailed on the same sheet of paper as his May 18th letter. 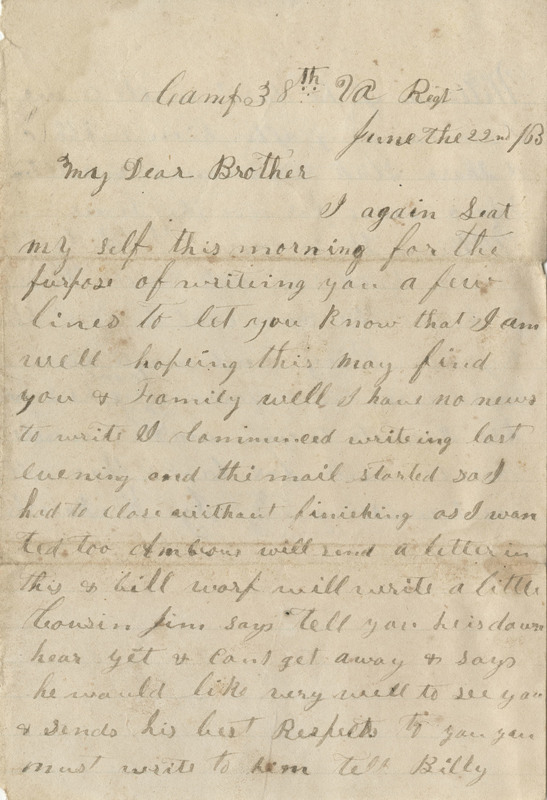 A letter from William Yeaman to his brother Thomas Yeaman, written and mailed on the same sheet of paper as his May 1st letter. 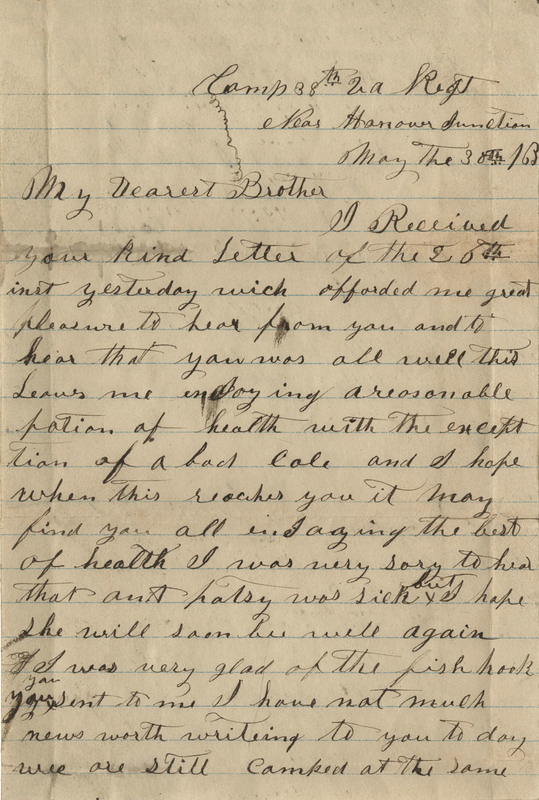 A letter from William Yeaman to his brother discussing his wellbeing. 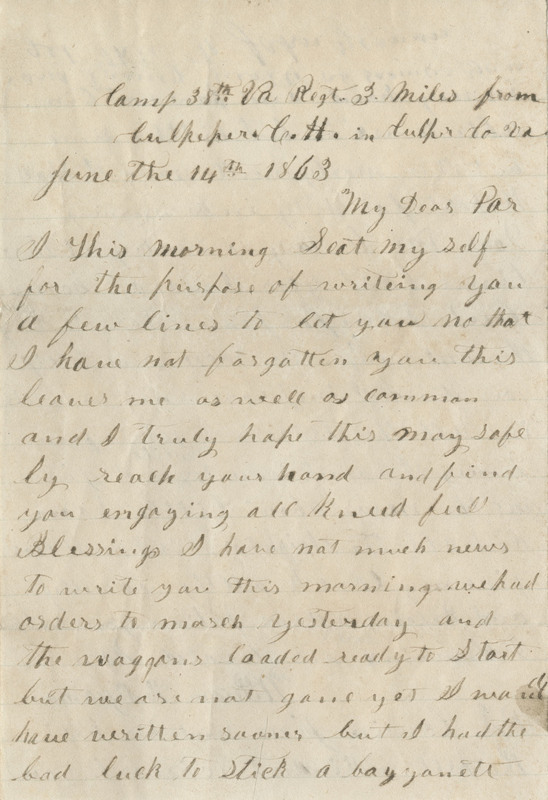 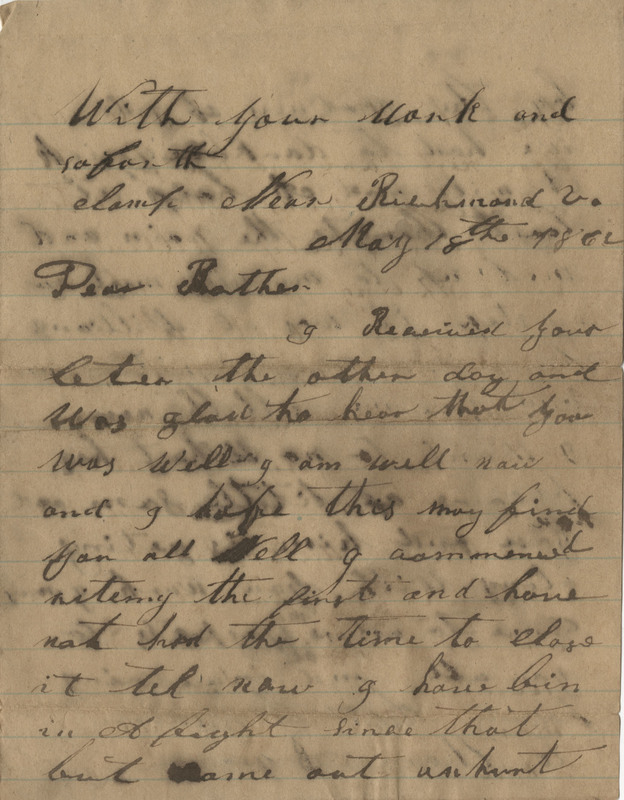 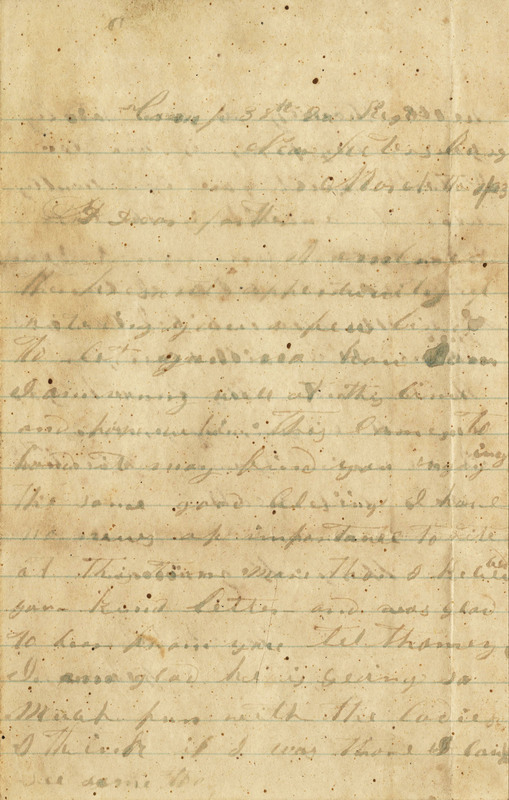 A letter from William Yeaman to his father discussing life at a Confederate army camp. 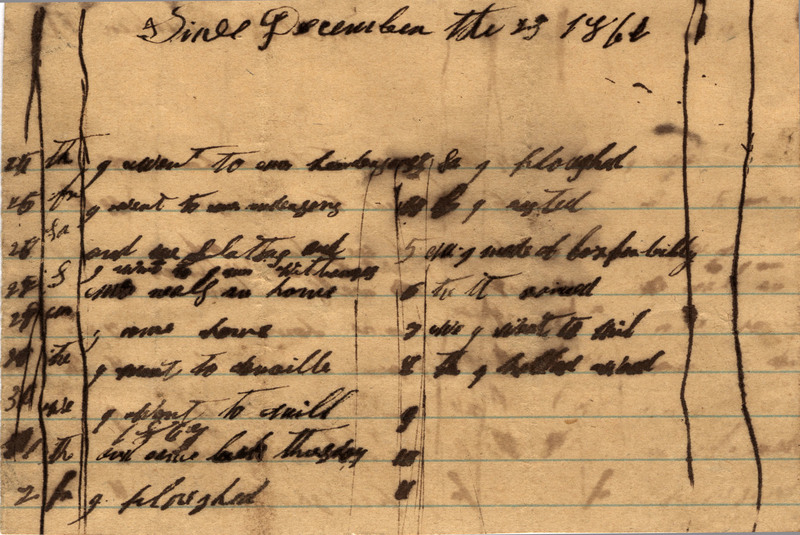 A brief table list of William Yeaman's activities labeled "Since December the [25?] 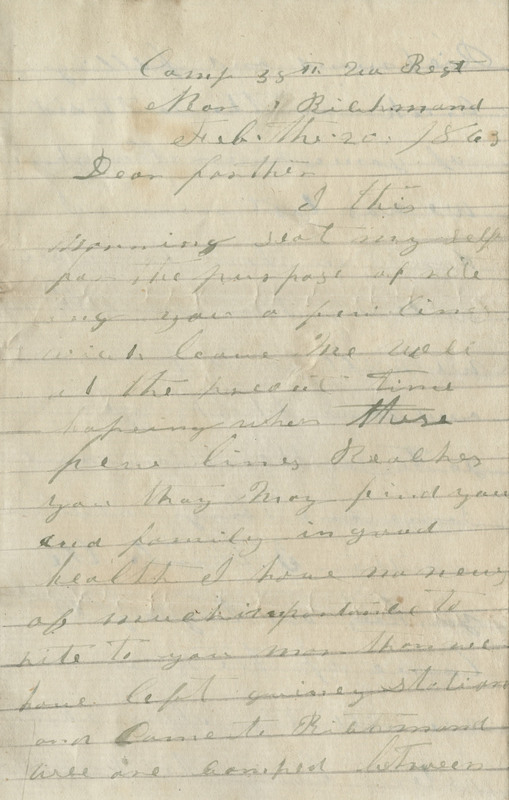 1861." 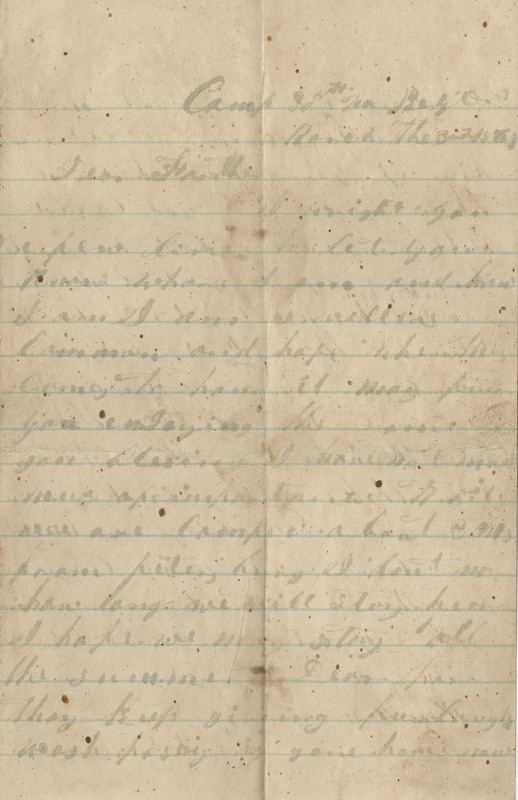 It lists activities from December 25 to January 8.